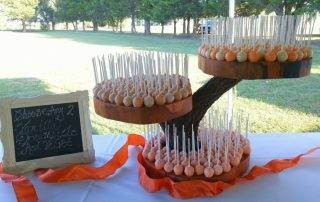 We specialize in catering desserts for corporate events, parties, weddings, graduations and more! 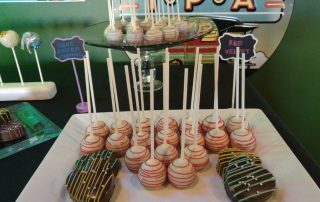 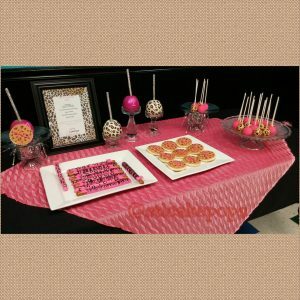 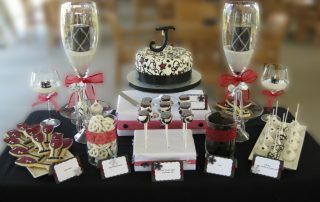 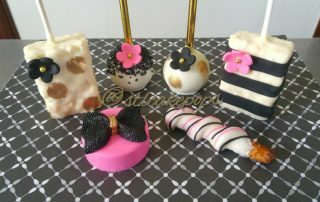 Cake Pops and chocolate covered treats make the perfect bite sized treat and can serve as table decoration or party favor. 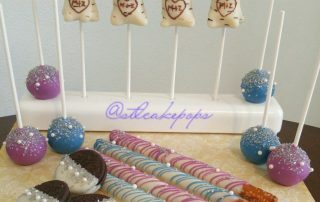 You can choose from a variety of colors and flavors to match any theme.